This Dehydrator lark is pretty amazing and today I discovered the joy of homemade raisins. 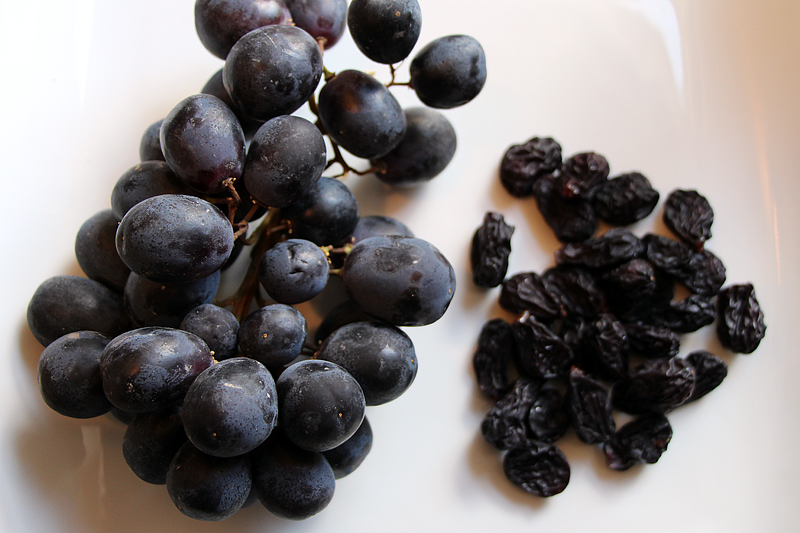 turning simple seedless black grapes into the most amazing dried grape sweets. It took absolutely aaaaaaaages partly because I didn’t dip them in boiling water for 90 seconds in my keen-ness to just get them in the Excalibur. Wash, put on Excalibur shelves and dehydrate on the highest setting for 24 hours (155 on mine) to stop them from souring while they dry then switch down to 125 and leave for another 24 hours. 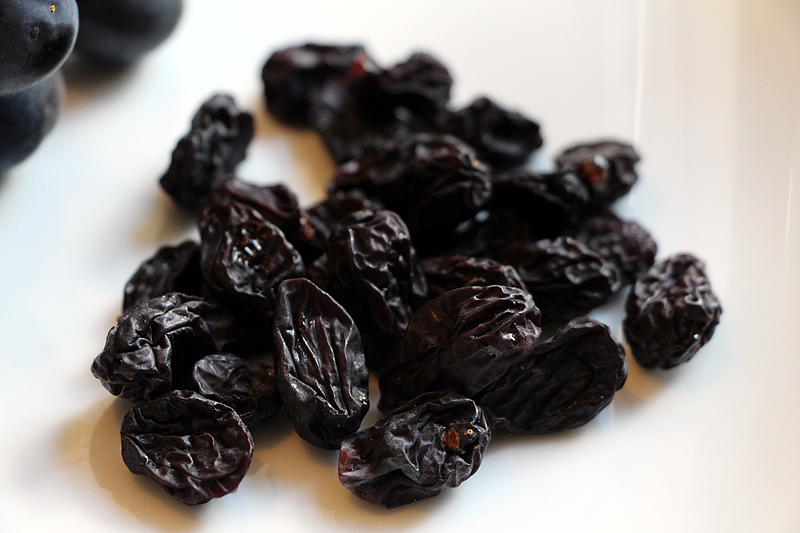 They take forever but boy are they worth it – not sure it’s cost effective so may just source organic ones but these mini prunes were fun to make and great to eat. I just put in loads of other stuff as I waited for them to be ready so it’s not like the heat was wasted.